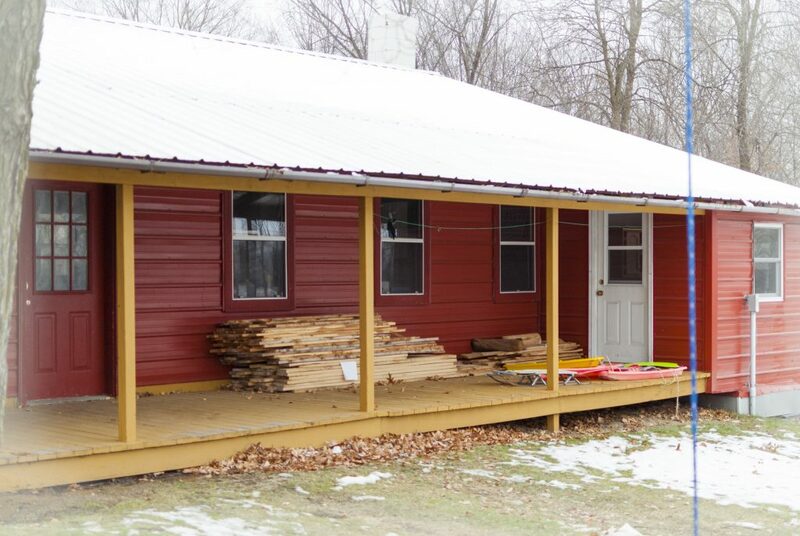 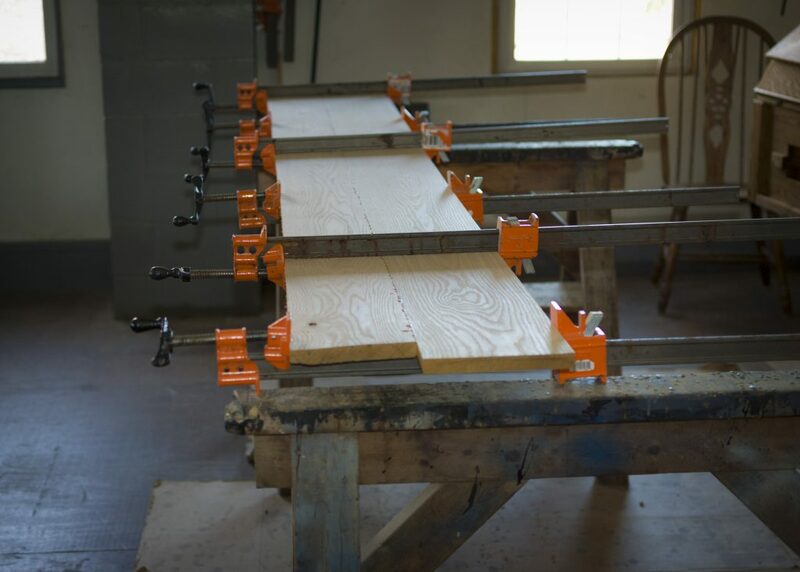 Workshop - Living Hope Woodwork, llc. 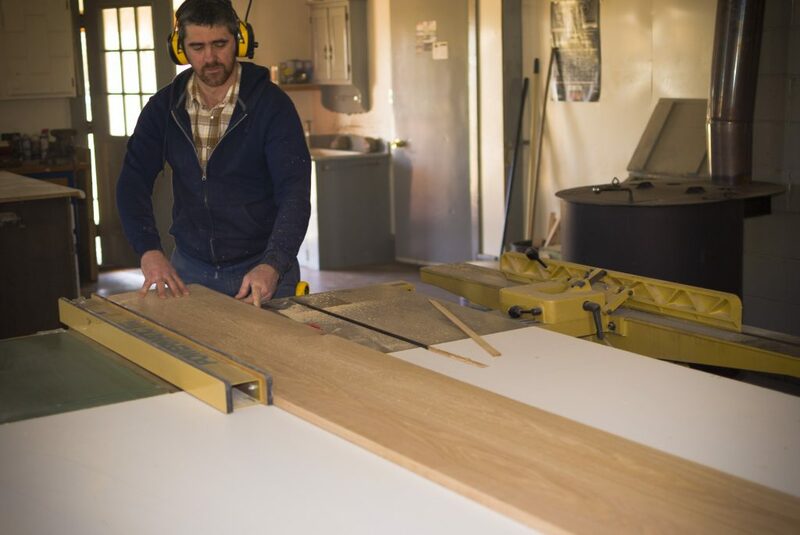 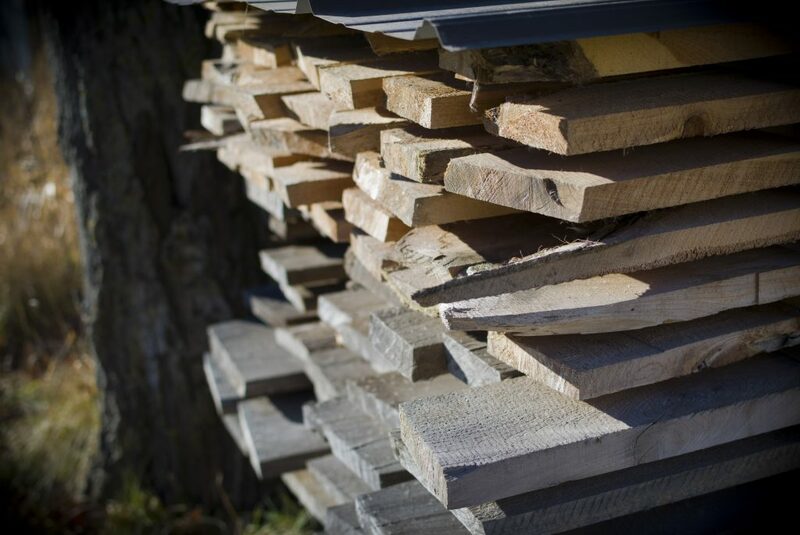 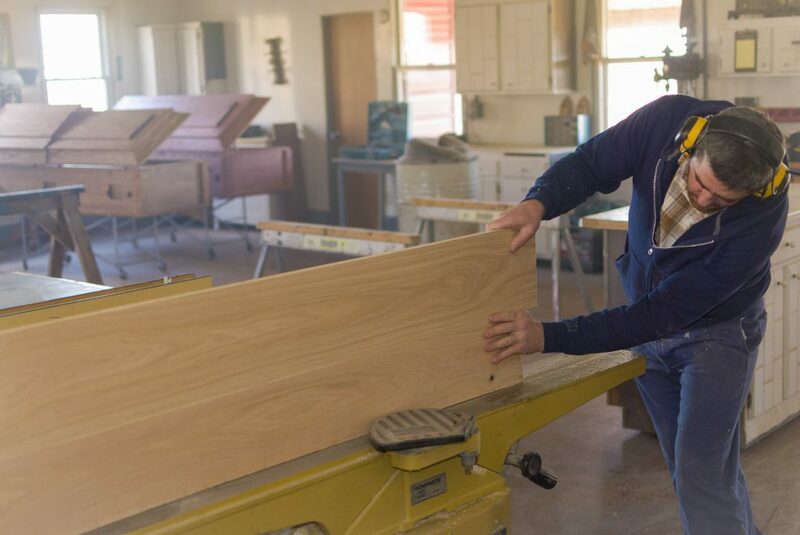 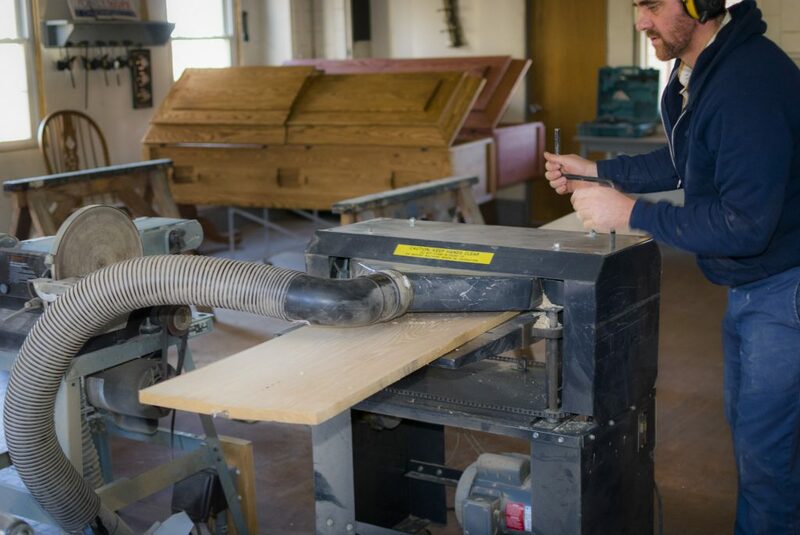 Once the boards are kiln dried, they are then brought inside the workshop where the boards are surface planed, straight edged, and milled into pieces of a casket. 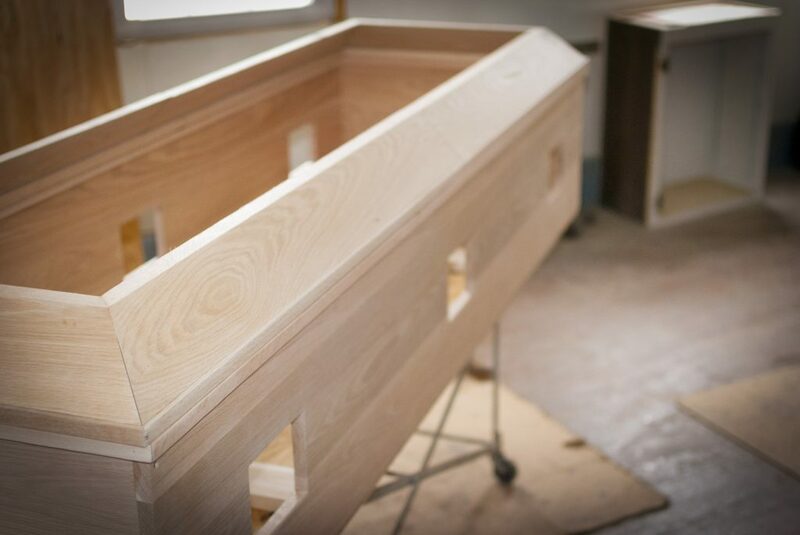 Some boards are edge joined and planed, thus making the casket sides. 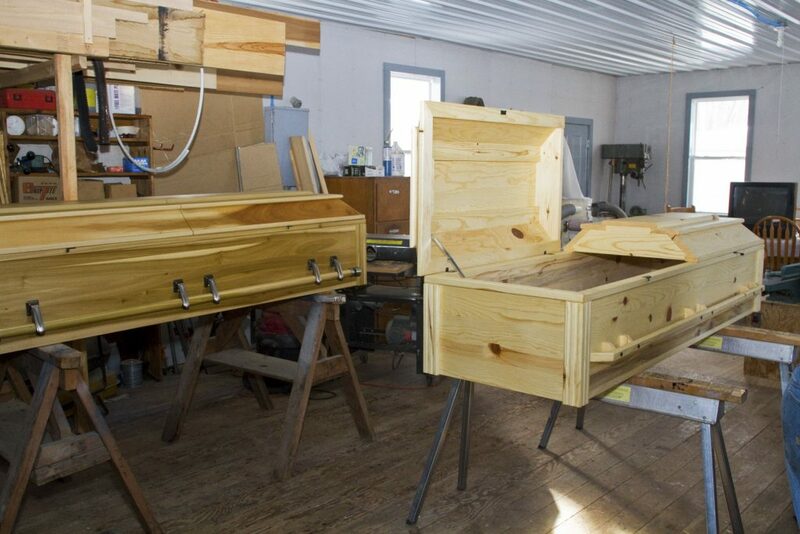 The casket is then assembled, handle holes are cut into the sides, and wooden handles are bolted onto the sides. 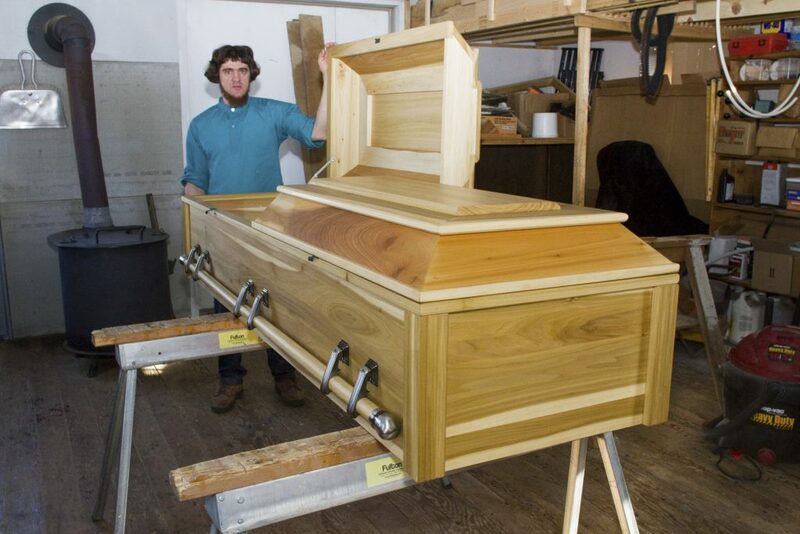 Then an adjustable upper half of a bed is installed and the casket is stained and sealed with the desired color or shade.